The HGH Foundation held its first Bailout event on February 15, 2017. Nine well-known members of the Hawkesbury, Vankleek Hill, and Casselman communities were arrested with bail set at $1000.00 each. Thanks to their network of family, friends, and coworkers, each one made bail and more! We sincerely thank this amazing group of enthusiastic participants and the OPP auxiliary for helping us stage some arrests that we were able to video and post on social media. We are very grateful for the time our participants took from their work day to help raise money for their community hospital, the Hawkesbury & District General Hospital. They are the embodiment of community spirit. Without them, this event would not have been a success! Picture: (clockwise) Anne Laflamme, Jeannine Lefebvre, Melissa Lalonde, Brian MacCormick, Sébastien Racine, Felix Blackburn, Pierre-Luc Byham, Andy Hamel, and Julie Leroux. 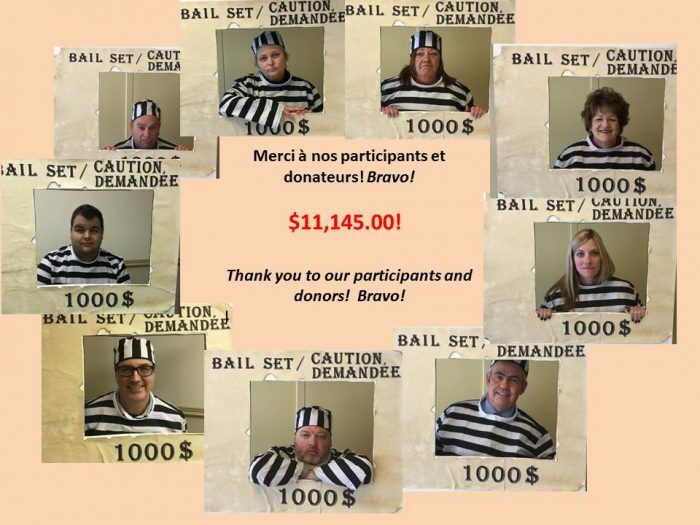 On February 15, 2017, several community leaders in the Hawkesbury and Vankleek Hill area will be participating in BAILOUT, a fundraising event to benefit the HGH Foundation. The concept is simple: people are “arrested” and must raise their bail money by contacting their network of friends and family members to donate money to the HGH Foundation. Individual bail will be set at $1,000.00. This is the first time the HGH Foundation is holding a Bailout event. 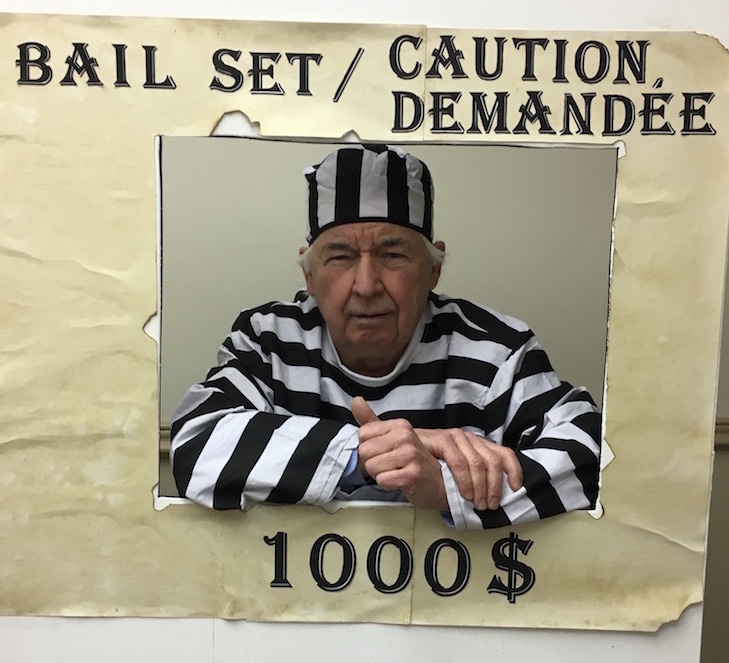 Dr. Jean Fairfield, former HGH Chief of Staff, is one the community leaders who will be asking family and friends to bail him out of jail. He was arrested for roller blading in the North Wing and stealing jelly beans from the nurses! Pierre-Luc Byham, Executive Director of the HGH Foundation, was arrested on the streets of Hawkesbury for playing Pokemon Go during work hours. All donations received will be directed toward the Access 2018 campaign to purchase an MRI and CT scanner for the hospital. 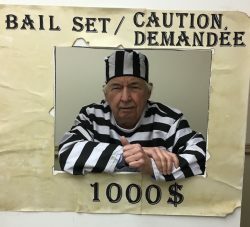 On Bailout day, the public and the inmates’ families and friends are invited to make their donations in person at the jailhouse between 8:30 am and 6:00 pm. The jailhouse is located upstairs at Your Independent Grocer on Highway 17 in Hawkesbury. Donations are accepted at the Foundation’s office located at 175 Main St. West. You may also make a donation through our convenient online form. 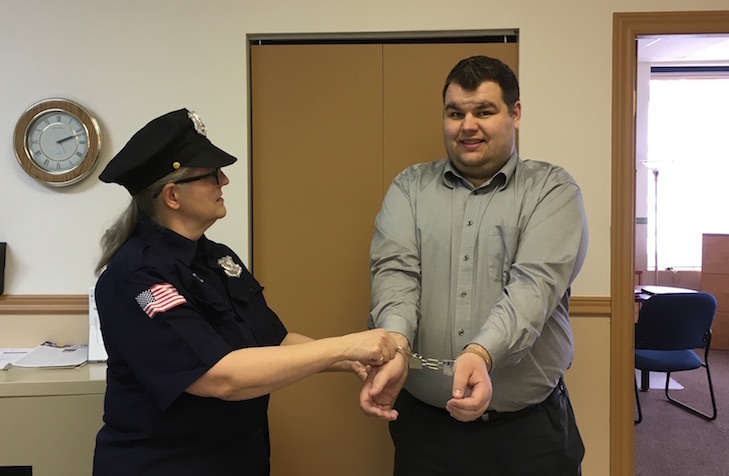 We expect more people to be “arrested” in the upcoming week. For a list of recent arrests, follow us on Facebook. This is a one-day event, so help bail out a friend or family member in support of the HGH!